Washing, cleaning is one indispensable thing for almost everything. Similarly, your hair also needs to be washed for a fresh look. Shampooing and conditioning is not as small as they sounds. You have to look for two things when considering shampoos and conditioners. Firstly, whether you are choosing the right shampoo and conditioner for your hair or not? Secondly, whether you are using them in the right way or not? Am I picking up the right shampoo and conditioner? You must be thinking about yours! Well, picking shampoo and conditioner according to your hair type is tricky. You first need to consider your primary hair type. Do you have curly hair? or a straight, frizzy, thick, dry, thin, oily, dyed, rebounded, or permed hair and so on? Each hair type has a special shampoo for it to match it perfect and give nothing except for life to them. When you come to know about your primary hair type then you have to pick the shampoo accordingly. However, if you are having difficulty in analyzing your hair type then you may go to any near saloon and ask for their help. Selecting right shampoo according to hair type is necessary because this is the very first thing that is used for goodness but it can actually cause damage if not used correctly. Yes, you read it right, DAMAGE! For suppose if you have thin and silky hair but somehow accidently you are using shampoo for fizziness you will just end up with excess silkiness that not even a pony tail will stay in your hair. Secondly, if you have dyed your hair and you’re using just a normal shampoo then you will lose your color in a much lesser time as expected. For dyed hair, there are separate “color therapy” shampoos and conditioners of course. You may combo a “hair fall solution” one with it as well. Thirdly, if you have normal hair w.r.t volume and texture then you need not to use shampoos and conditioners that are very heavy duty. You must use a “normal” shampoo that is not very rich in chemicals. Then if you are the one who frequently irons your hair then your hair needs to be washed with both. The “damage repair” and “dryness solution” shampoo and conditioner. If you are crossing 45 then you may use “hair fall solution” shampoos and conditioners in advance to prevent hair fall. People often ask for the right way of shampooing and conditioning. Well, it’s tricky. Following steps may guide you right. Untangle them first and rinse with warm water. Take a coin sized amount of your shampoo on your palm and apply to your scalp only. Massage the scalp-not in circular motion but in vertical motion for 3 minutes approx. it speeds up the blood circulation. Apply some shampoo on further hair but gently and lightly. Do not rub at all. Wash out the shampoo with warm hair and drain out excess water. Take some conditioner on your palm (according to length) and apply from middle to bottom. Leave on for minimum 8 minutes to as much long as possible. Wrap your hair immediately in a cotton towel to take out extra moisture. Another way is to reverse this process. Condition before shampoo to avoid having split-ends and breakage. 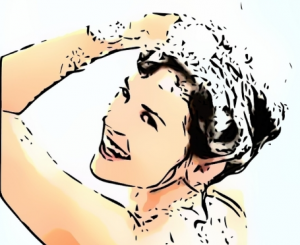 Washing doesn’t only ends at water but we all use shampoos and conditioners to wash our hair. These two products needs to be used in proper manner to make your hairs clean in a healthy way, otherwise they could be a source of damage instead of goodness.